One of the last indigenous tribes to have encountered European invaders was one of the most formidable native groups to have ever inhabited South America. Among laymen, they are mostly known for being part of the ‘human zoos’ which were all the rage in Europe during the late 1800s. Snatched from their native lands and exhibited as curiously rare and uncivilized creatures, this ill-starred tribe went from being the most prominent in Tierra del Fuego to being all but extinct a little over 100 years later. 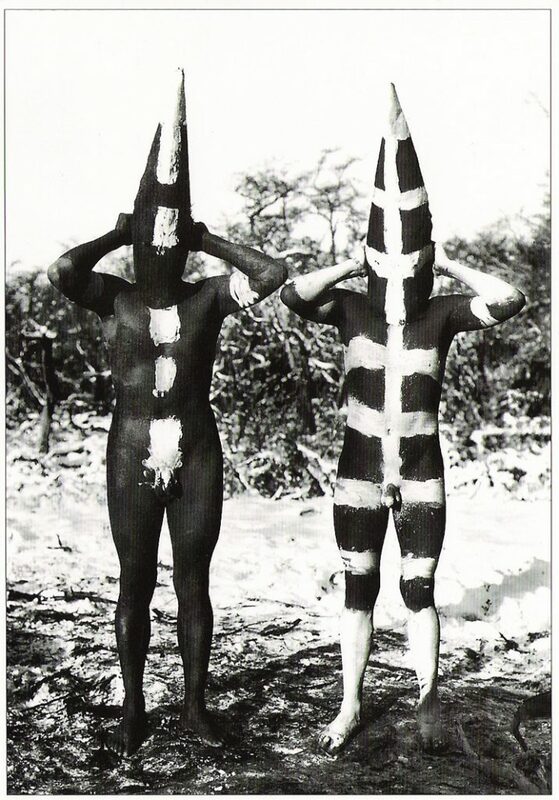 Yet among historians, the Selk’nam are renowned and revered for being impressively hardy and immensely adaptable. They inhabited Tierra del Fuego right on the Southern tip of the South American continent, only a swim stroke away from Antarctica. The Selk’nam, or Ona as they are also known, were fit, strong, tall (the average height of an adult male was 187 cm) and seemed to have flourished in the harsh environment of southern Patagonia, wearing nothing more than a loin cloth. 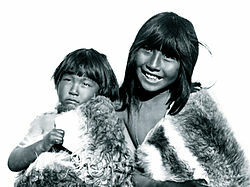 If you’ve visited Patagonia and experienced the at-times insanely freezing winds and unpredictable climate, you’ll understand why the Selk’nam have a reputation for being some of the toughest indigenous people who ever lived on our planet. Tierra del Fuego, which means ‘Land of Fire’ in Spanish, actually derives its name from the colossal Selk’nam bonfires which the first Europeans observed upon reaching the island. And still, despite being the inspiration for what is, nowadays, one of the most stunning parts in all of Latin America, the mighty Selk’nam still hide in relative obscurity. Unlike other seafaring Fuegian tribes, the Selk’nam lived in the interior of Tierra del Fuego and were prolific hunter-gatherers on land. Their subsistent survival consisted mostly of guanaco (a type of llama) and fox meat. They had no concept of agriculture yet domesticated dogs. Unlike what early European human zoos loved to portray, these native inhabitants of South America were anything but primitive. They held deep and complex spiritual beliefs which included faith in a creator and worship of one main deity. They held initiation ceremonies for their young boys involving tests of courage, the overcoming of fear, and cunning resourcefulness. They lived communally with no concept of personal land or animal ownership (although individual ownership of clothing, weapons and tools was common) and moved around Tierra del Fuego as climate dictated hunting possibilities. Curiously enough, the Selk’nam, as with other Fuegian natives, are not thought to share origins with northern Native American Indians. Instead, they are believed to be more closely linked to Australian Aborigines and evidence of similar rock paintings have been discovered. It is estimated that by the time Europeans first made contact in their attempt to conquer Tierra del Fuego, the nomadic Selk’nam had been living there for thousands of years and numbered approximately 4,000. Within just a few years, there were only 100 left. The Selk’nam Genocide, as it is now recognized, caused the complete extinction of this remarkable tribe. The last full-blooded Selk’nam tribesperson died in 1974 and, by 1990, there were no longer any Ona-language speakers left in the world. Today, only a few hundred people still identify themselves as Selk’nam descendants. European ranch settlers and imported diseases claimed the highest number of casualties, in equally terrifying fashion. Settlers received handsome financial rewards for each native killed, and anyone who managed to survive this threat fell victim to smallpox, scarlet fever, and tuberculosis. To add to their woes, Christian missionaries forced their relocations in an attempt to convert them, aggressively disrupting the natives’ livelihood and social structure. Although many missionaries documented what they thought to be an endearing culture, and tried in earnest to preserve their language and customs, their sheer presence still had a detrimental effect on these native tribes. As European settlers landed in Tierra del Fuego, they promptly set up ranches and herded wild game, a concept with Selk’nam people failed to comprehend. As they continued to hunt the now ‘owned’ wildlife, they were seen as a threat, and hunted in return by ranch owners. Captured natives, who despite their physical prowess were no match for the armed invaders, were held in deplorable conditions and carted off to Europe for tours of the so-called Human Zoos. A great majority never even survived the trip and, once there, only a handful were ever returned to their homeland. 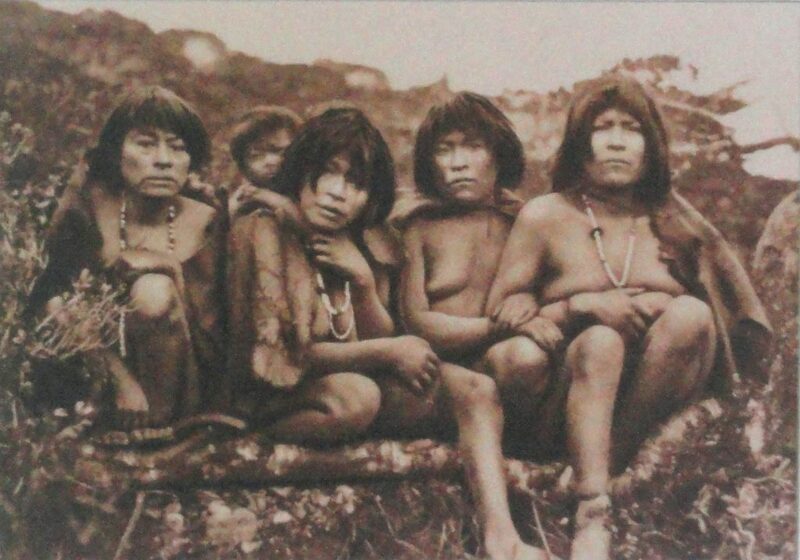 The Selk’nam were by no means the only indigenous Tierra del Fuego inhabitants who suffered greatly at the hands of foreign conquistadores, but they are among the most enigmatic. In Ushuaia, Tierra del Fuego’s most famous and fascinating city – you’ll find a small museum dedicated to the history of local tribes, particularly the Yaghan (also known as the Yamana), a seafaring tribe who scoured the Beagle Channel on canoes hunting seals, and wore even less clothing than the Selk’nam. A modest collection of photographs ought to satisfy the curiosity of ardent history-lovers. The loss of these mesmerizing tribes is arguably one of most tragic part of Latin American history. Explore Tierra del Fuego on your next South American adventure and you’ll no doubt be in awe at the sheer existence of these awe-inspiring people, who lived and thrived in a place that is as spectacular as it is unforgiving. 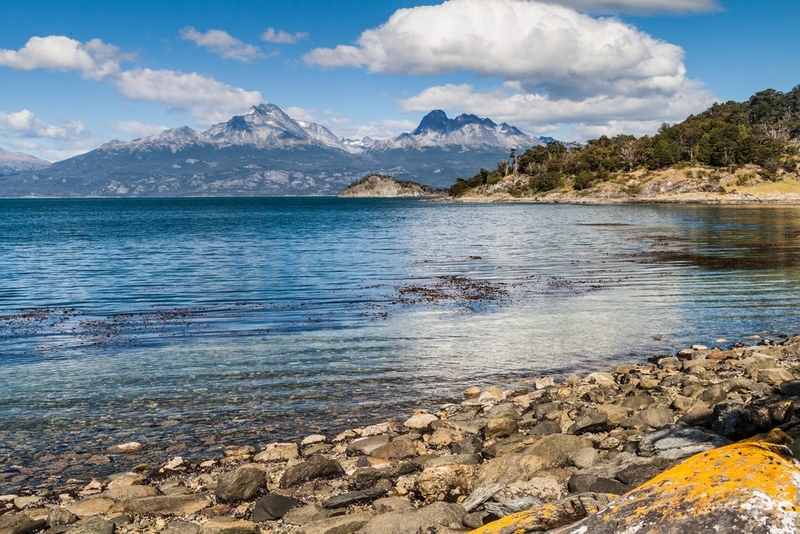 Our cruise to Patagonia follow the fjords of the southern edge of Tierra del Fuego highlights the stunning, natural beauty of Patagonia and several of its most important historical sites.